Our online white card course is a convenient way for those wishing to work in the construction industry to complete their course. It can be completed 100% online and is available 24/7. The flexible format allows you to log in as many times as you need to complete your course. 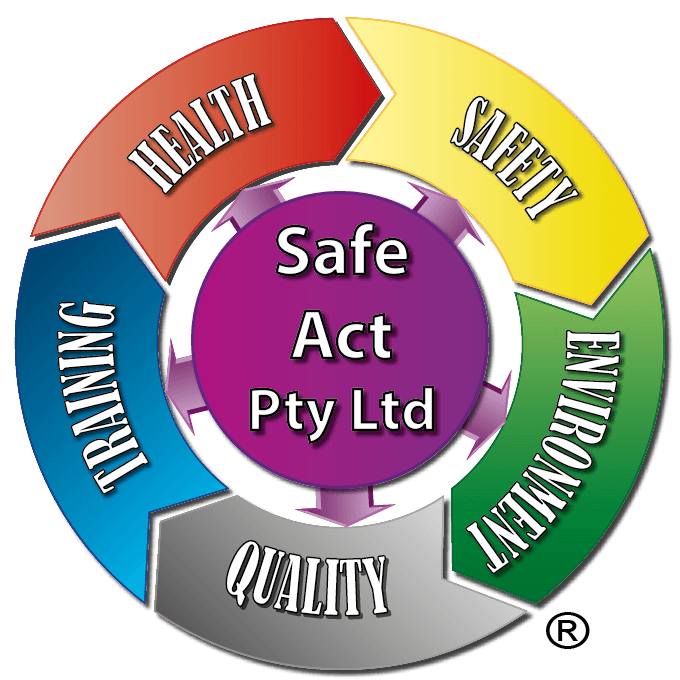 Why Choose Safe Act Pty Ltd? This course can only be completed online. Please note: You will require a smart phone or camera attached to your computer or tablet to complete the practical requirements of the Training Package. As another option, you can purchase the required equipment through our online shop. The equipment will then be sent out to you by express post, guaranteed to arrive the next business day. How does the online white card work? Why use our online white card? The number one online White Card course is so flexible allowing you to start and pause your training and all of your work is saved. No need to wait for class for a face to face course. Its like you are sitting in a class, our video online course is designed for you to learn at your pace. No one likes a boring slide presentation. We use video presentation just like if you where sitting in an actual course. Its the latest video technology designed for adult learning especially if English is not your natural language. Our course videos are easy to listen to and provides you the knowledge required to be awarded your online white card certificate and card. You simply watch and learn and answer the required the questions. If you are not able to pass, then you are not charged. Its the best value white card course in Australia. You can start the on line white card course on your mobile and move to your laptop if you need to later on. Our white card course is super mobile friendly ensuring you can complete the training with the flexibility to use any device. As soon as you complete the course and are found to be competent in all the required aspects of the course, we immediately send you your certificate by email and your white card number. WHATS IT ALL ABOUT WHITE CARD? To work safely on a construction site, you need to have completed a national unit of competency. Registered Training Organisations deliver this unit and once you complete the online white card course, you are also issued with a white card. If you live in Queensland you will be issued with a Queensland White Card. 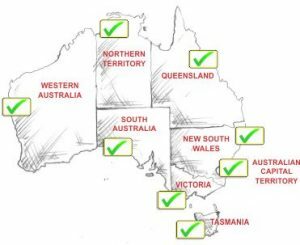 If you live in any other area of Australia you will be issued with a Western Australian white card. No need to worry, either card is accepted in all parts of Australia. Upon completion of this unit of competency a student will receive a statement of attainment and the White Card. There is no expiry on the White Card License. However, it is advised you to need to maintain currency through employment and practice of OHS Requirements. Our Online White Card is recognised and accepted across all Australian States and Territories. This ensures you only require the one White Card no matter where you are working. The Blue Card is no longer available and cannot be issued by RTO’s. If you lose your Blue Card you will need to redo the course and upgrade to a national White Card. All previous State issued cards are still valid including the Blue Card, Red Card and Green Card. You do not need to obtain a White Card if you can demonstrate currency and hold one of the above cards. What employment areas require a WhiteCard? Although the course is nationally recognised. Different states have specific requirements for RTO’s in issuing the WhiteCard. The WhiteCard is available online for residents and employees in all states of Australia. 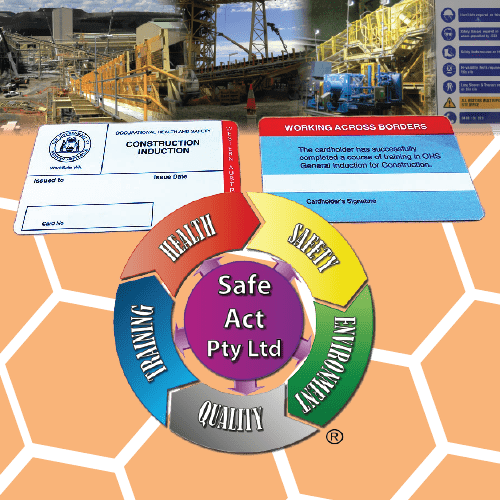 To work on a construction site in Australia it is compulsory for everyone to hold a current Occupational Health & Safety Certificate, commonly known as a ‘White Card’. The White Card is a requirement under OH&S Codes of Practice across most jurisdictions. It allows individuals to access or be present on construction sites. Do I need to complete this course in one sitting? No, our system will remember where you last finished and ask you if you would like to resume your progress, So this way you are able to log in and out of this online course and complete it when you have free time. How long does the online White Card course take to complete? The course will take approximately 6 hours to complete, depending on your skill level. You will need to have sound computer skills and sound language and numeracy skills to complete the course. Can I complete the online white card course overseas? Unfortunately, we are not approved to offer this course overseas. Due to this you will need to complete the full course once you arrive in Australia. You need to hold a working visa and have a residential address in Australia.